This product was prided through Tomoson for review. Here is the Surpahs Lightweight Scale that I received to review. The first thin I noticed and liked is how lightweight it is (hence the name). I also liked that all the information needed is on the screen and easy to read. You can see the cateogroty you will fall into based on all of your personal settings such as Underweight, Normal, Overweight, and Obese. When you turn it on it asks to add settings for Person #1, Person #2, and so on. You will have to put in age and height for each person. 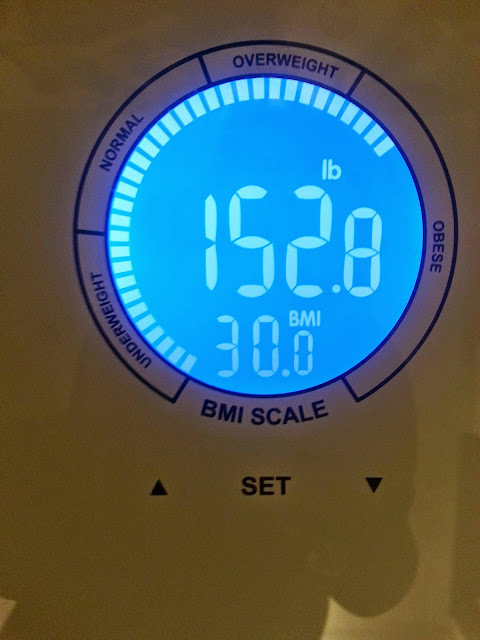 After that you weigh yourself and it displays your weight and your BMI Percentage (Body Mass Index) as well as which category you fall into. I really do like this scale and the fact that I can get all the readings from 1 item no guessing or trying to calculate BMI. 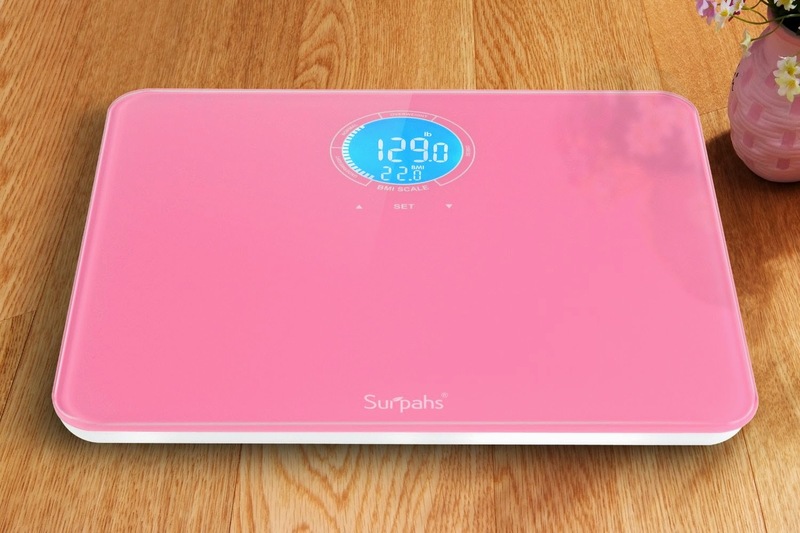 You can purchase this #surpahs scale on Amazon. Product Details: Auto identify up to 4 pre-set users, provides accurate body weight measurement and Body Mass Index (BMI) on 2.3" (59mm) diameter big round shiny LCD screen, with very nice blue backlight, easy reading in the dark. 11" x 9.6" x 0.9" small, sleek, lovely design with 0.2" (6mm) thickness more pure & higher tempered glass weighing platform. Smart gravity point detect and auto-calibrate. The G-Sensor patent-pending technology embded in 4 TPU skidproof stands support more stable and accurate measurement from 11 lb to 330 lb. New "Sense-ON" patent-pending technology gets instant readings when you step on the scale.